Are you a football fan? I have to admit that football is one of the sports played in the US that I don't quite understand. We don't have that in Germany. I grew up watching and playing soccer. It took me years to learn the rules of Baseball. I only learned the rules how Baseball works because my son started playing it when he was 9. Man, it is complicated! I learned so many new words. They don't teach you sports-related vocabulary teaching foreign languages in Germany. It took me years and reading many books. I love that sport now. So maybe there is hope for football? But despite my lack of knowledge when it comes to football, it is hard not to get excited about the local team's (Broncos') success this year making it to the Superbowl. It's so much fun going to the grocery store seeing all the workers dressed up in orange and blue. 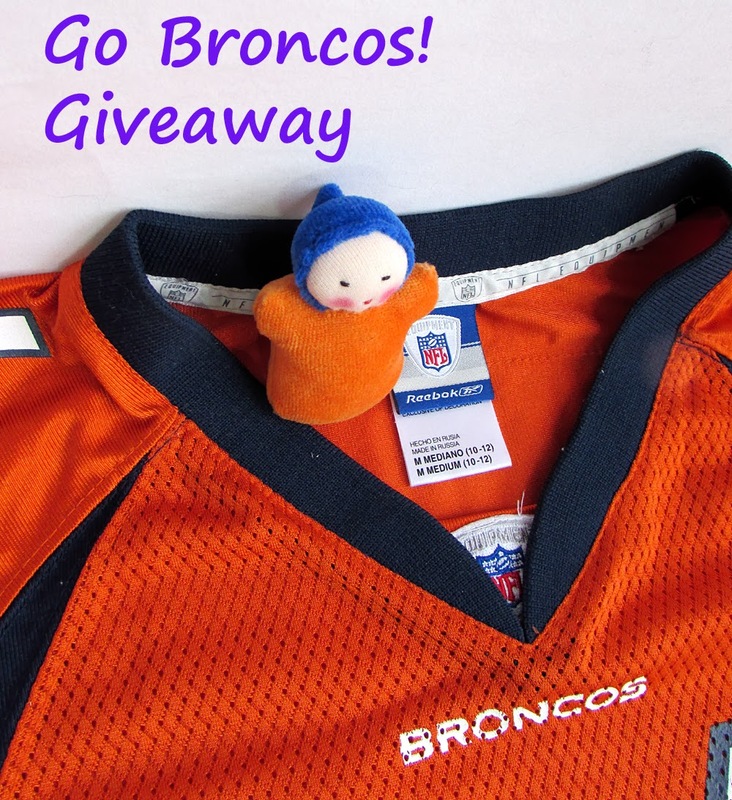 So in honor of the team and all the fans, I made a miniature doll in the Broncos' colors to give away on my Facebook Fanpage. If you want to enter you must go to my page and share the photo. That is the only way you will get entered in the drawing on Superbowl Sunday. Please note the Giveaway is not for the jersey. Just the sweet babe. 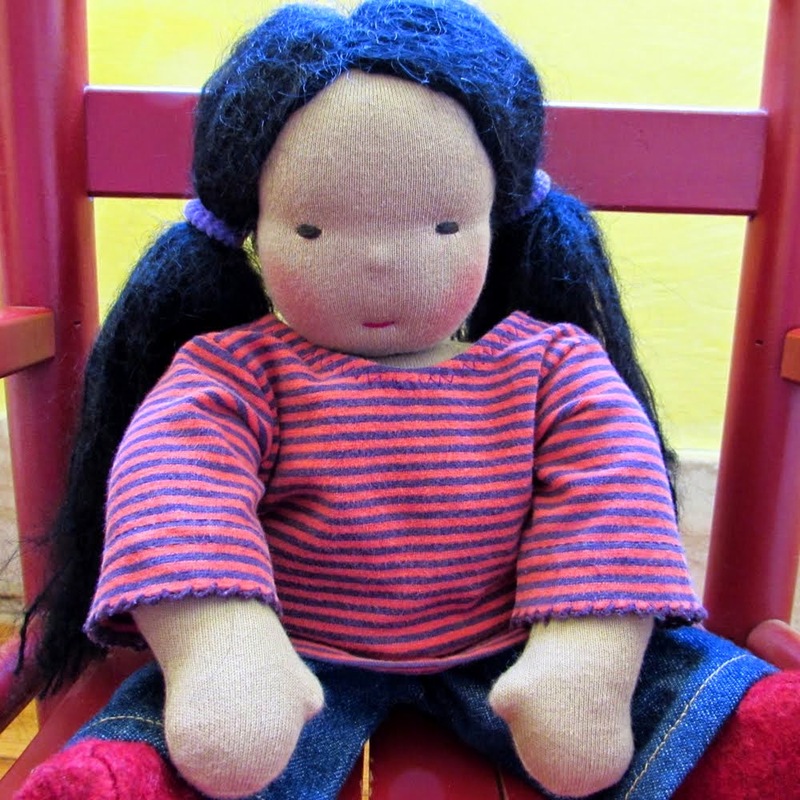 I am sure any young aspiring fan will enjoy this little pocket doll in the team colors very much. No matter if they win or lose the game. Even if you are not a fan you may still want to enter, just because you love those colors. Just remember to be a good sport, always! Of course, I'd love to see the home team win. I will be cheering them on at a friend's house this weekend. Go Broncos, Baby!